Synopsis-When tragedy strikes close to home, Mickey Bolitar and his loyal new friends—sharp-witted Ema and the adorkably charming Spoon—find themselves at the center of a terrifying mystery involving the shooting of their friend Rachel. Now, not only does Mickey have to continue his quest to uncover the truth about the Abeona Shelter, the Butcher of Lodz and the mysterious death of his father, he needs to figure out who shot Rachel—no matter what it takes. Seconds Away is the second Mickey Bolitar YA mystery novel, which picks up immediately where Shelter left off. Mickey is tracking down answers pertaining to his father’s death but he seems to get caught up in another police investigation when his friend Rachel is shot. Trying to get to the bottom of the identity of the shooter, Mickey teams up with pals Ema and Spoon and in doing so put them all at risk of becoming a target. In regards to his father’s supposed death, Mickey is trying to figure out how the Bat Lady has a photo of man from the war who just happens to look like the paramedic who pulled Mickey’s father out of the car and pronounced him dead. How can a young man from the war era remain the same age and how is he tied in to his father’s death. Mickey begins to suspect that his father may not be dead afterall. Ema is still a great asset for Mickey’s investigations but he’s curious to know what she’s hiding from him. To be honest I was a little surprised when her secret was revealed and in some ways a little disappointed. I think the real situation surrounding her family makes her seem a bit too cool now and I felt she was much easier to relate to when I though she was just an average kid with some emotional issues. I have no idea whether there’s any romance on the cards for Ema and Mickey in the future, but I hope this secret isn’t used to make her more attractive to him. Anyway, Spoon is still a loyal friend, willing to do anything to help Mickey out- sometimes to his own detriment. Seconds Away is another fast-paced mystery novel with Mickey at the centre and his two loveable subordinates by his side. 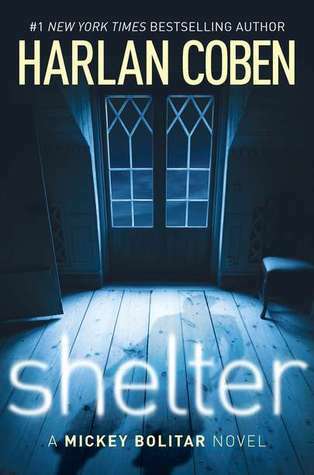 Some of the questions I had in Shelter were answered in Seconds Away, but there were also many more questions to arise and rouse my curiosity for the next instalment in the series. Seconds Away is a quick read and I like the YA take on the mystery genre that Coben puts forth. I’m still not completely convinced about the characters and hope there’s further development in the next book, but I liked it enough to want to pick up the third book when it’s available.